While we were living in Sweden I developed an obsession with painted furniture, specifically chalk paint with dark wax. I love the look and couldn't wait to transform some of our many brown pieces of furniture. My friend Debora let me use her chalk paint, wax, and brushes while we were home for a visit, and I was hooked. When we moved back to the States one of the first places I found was my local Annie Sloan (ASCP) stockist, but I didn't buy any right away. 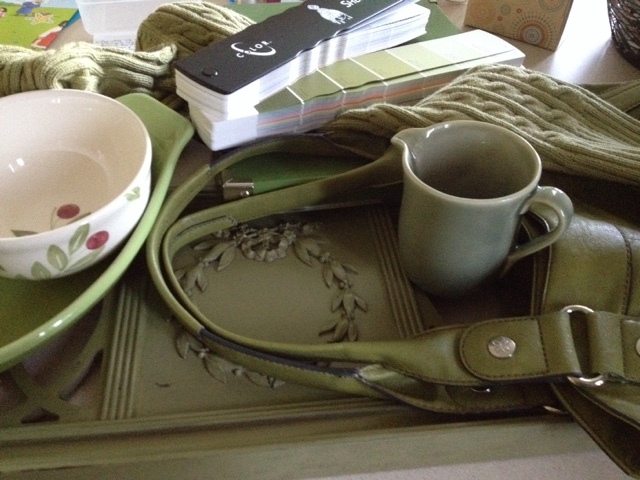 While we were renting I mulled and planned and thought about different colors and furniture pieces. 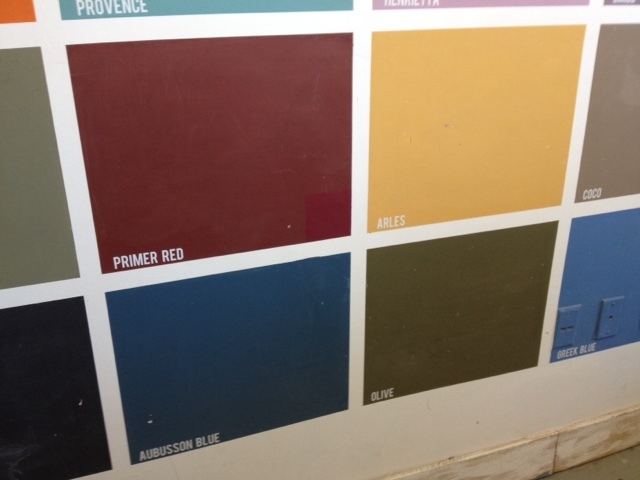 It wasn't until we bought a house that I could actually visualize a plan for wall color and furniture. And until we move all I can work on is furniture. Back in our previous house (before Sweden) we used our dining room as an office, so we sold our dining table and chairs. 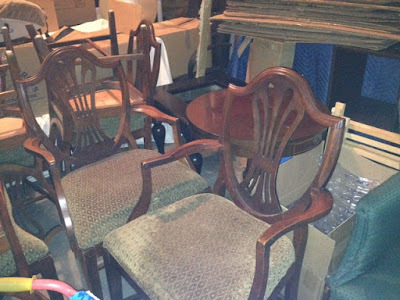 I'm happy that we'll have a central (read: utilized) dining room in the new house, especially since it gave me an excuse to scour Craigslist for dining furniture. I scored this set of eight shield-back chairs and a table, marking the first time I was truly thankful for getting a minivan. And when we had a warm day February 1st I was excited to get outside and paint! 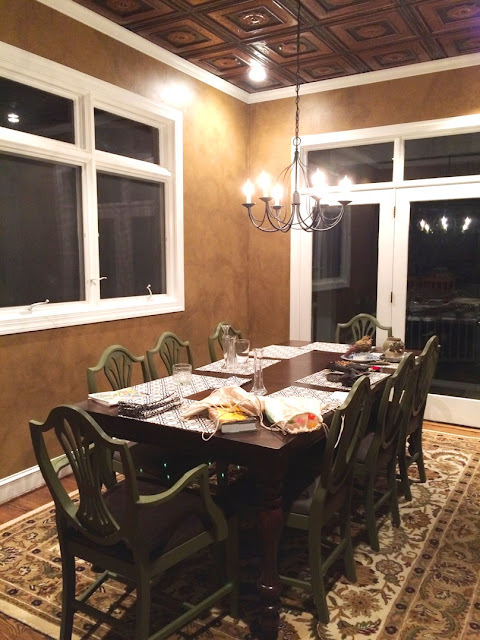 Rather than add brown furniture to our brown dining area I wanted to paint them a color that would look good with both fall tones and beachy blues. Green is my favorite color, but the Annie Sloan greens didn't look like what I had in mind, so I gathered green things from around the house and matched them to colors on a fan deck. 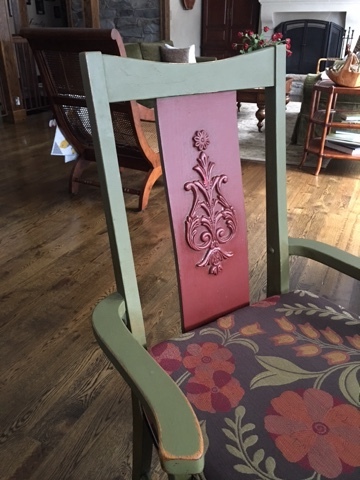 And then I had a very helpful conversation with Debora, where she sent me this picture of her chair painted ASCP Olive (with Primer Red accents, for the record). This looked much better there than on the paint chip or even the sample on the wall at the stockist (although I love it with the peacock-y Aubusson Blue). Debora reminded me that chalk painting is a heckofalot easier than traditional sand/prime/latex painting. So I bought a can of Olive and got to work. Bowen (age 4) was so tickled to watch me paint. He kept saying things like, "Mom, you're so GOOD at this!" It was the encouragement I needed; bless him. And I loved it! But then I had to decide if I'm going to wax or use another type of topcoat. 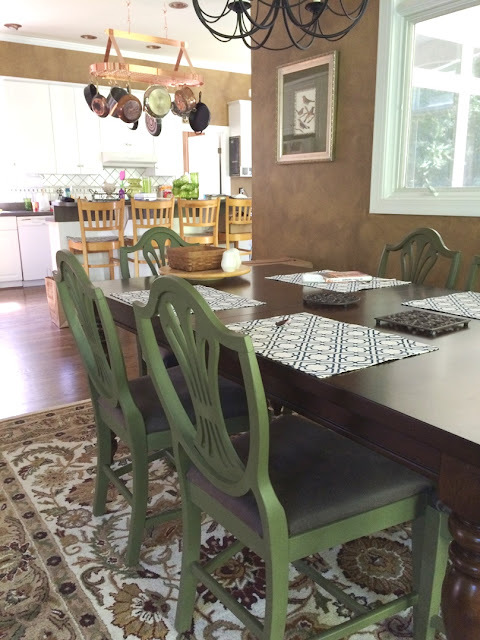 Wax gets into the porous surface of the chalk paint, creating a durable bond. I have read a lot in the past year, including complaints about getting a consistent finish (too much, too little), showing fingerprints, having to be rewaxed. But I also like the look of dark wax in the recesses, giving an antique looking patina. (I'm aware of the irony of painting antique chairs to look antique, kinda like blow-straightening hair before curling it). I decided to try General Finishes High Performance water-based top coat because I could just brush it on and be done, and we finally live in a location where I can just drive to Woodcraft to buy it (joy!). But it goes on drippy and after two coats the satin was a little shinier than I was going for, so I took the plunge and bought the Annie Sloan wax and brush. Even if you're dark waxing you apply clear wax first, so after we moved into the house we bought (!) I spent the first mild weekend doing nothing but painting and then waxing the remaining chairs. After all, we had company coming and I needed those chairs. Waxing was okay, not awesome but not that difficult. 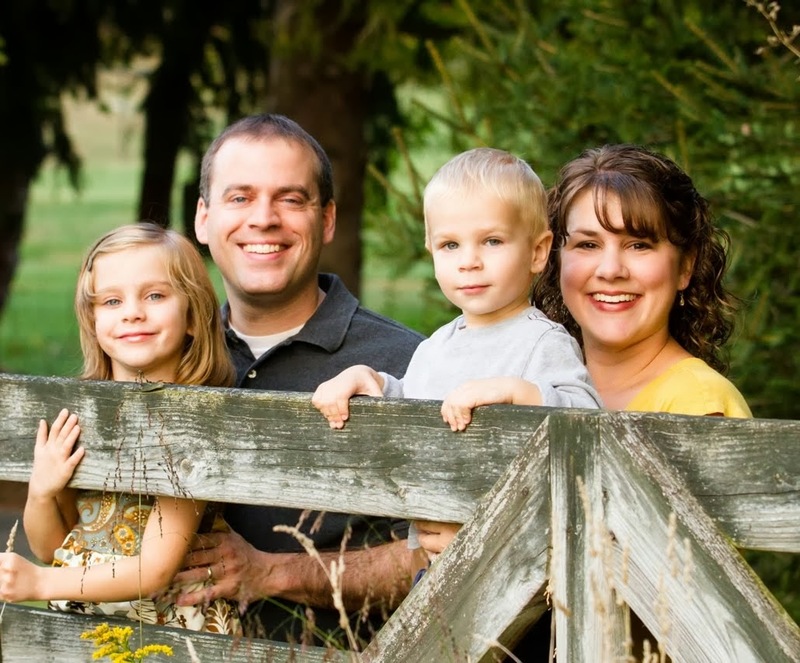 I worked in the sunshine so that kept it soft and workable. I was going to buff them later to give a little more sheen, but never got around to it. I'm happy with how they turned out. Here they are in our dining room at night, so it's not even obvious that they are green. So much for having a pop of color. Apparently I really like neutrals. We actually eat dinner in this room every night, which makes me happy since I didn't want to have a room that was only used a few times a year. I also wanted comfortable seating at the table, so these seats have new 3" foam pieces wrapped in batting and covered faux leather (read: wipeable). 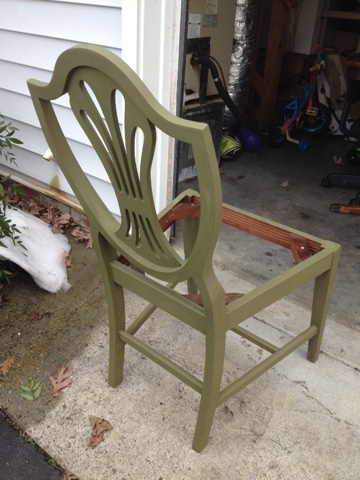 Yes, yes I did buy brown and olive chairs and spent countless hours transforming them into brown and olive chairs. But I like them so much better this way. Whatever keeps me off the streets, right?